Laura Anne Nelson tells court she was terrified her mother would think she had killed the teenager. 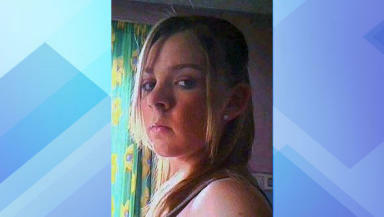 A teenager who saw the badly burned body of her dead sister did not police about it for five days, a court has heard. Laura Anne Nelson, 17, has told a murder trial how she was taken to a woodland clearing by Robert Bayne - the man accused of murdering mechanics student Zoe Nelson. She later told police that she recognised the charred corpse as her sister because of a tattoo, after the sight had been pointed out to her last May 23. Police were called in later that day when a trails bike enthusiast found the body on the outskirts of Wishaw, Lanarkshire, at a spot known locally as Monkey Hill. The High Court in Edinburgh heard on Tuesday it was not until Laura Anne gave a third statement to police on May 28 that she described how Bayne had told her that her sister was lying dead in a field, before taking her there. She then led police officers to the spot. When questioned by police on May 25 about Zoe's death, Laura Anne told them: "I don't know who would have done this." Questioned by defence QC Neil Murray, Laura Anne said: "I did not tell them about this because I was scared my mum would not believe me and think it was me who killed Zoe." The trial also heard from Bayne's grandmother, Margaret Bayne, 64, who said that on the day he is supposed to have taken Laura Anne to Monkey Hill he did not leave the house except to visit a local supermarket. She said her grandson was washing the car to earn money, then left the house in Harper Crescent, Cambusnethan, Wishaw, where Bayne lived with his grandparents for a trip to Asda. Mrs Bayne said: "I am absolutely positive he did not go out on Sunday." Bayne, 21, denies murder and attempting to defeat the ends of justice. Among the allegations he faces is a claim that he disclosed the whereabouts of Zoe's body to her sister, then threatened her and implied he would kill her if she told what she had seen. Bayne is accused of attacking Zoe with a knife at Monkey Hill, near Branchalfield Drive, Cambusnethan, putting a plastic sheet over her head to restrict her breathing and then setting fire to her last May 22.